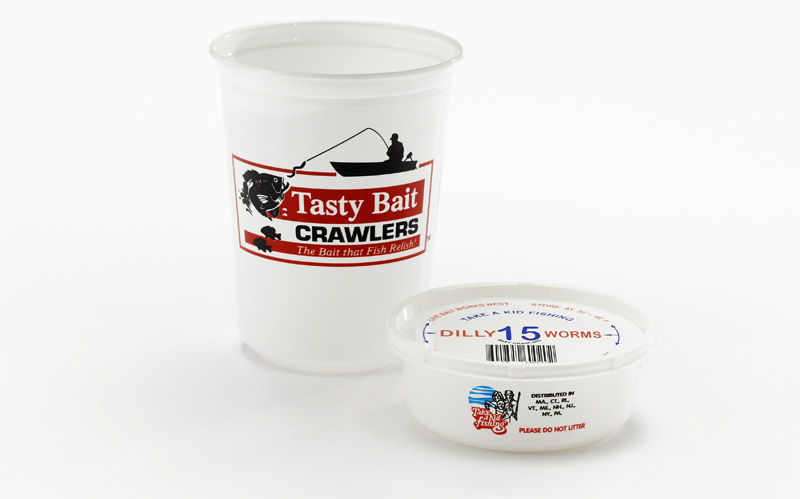 Our custom print program can increase your brand awareness for only pennies per piece. Up to 5 colors are possible on the containers and lids and preparation, plates, proofs and "slug-ins" are a one-time fee only. 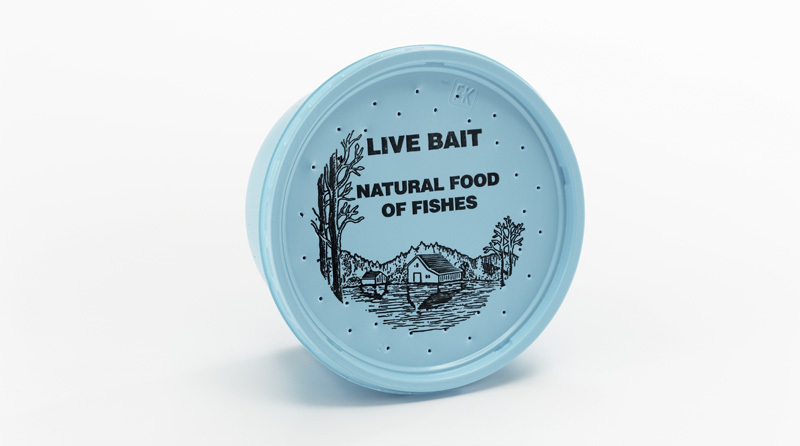 Stock printed lid "Live Bait"